NEW HAVEN, Mo. 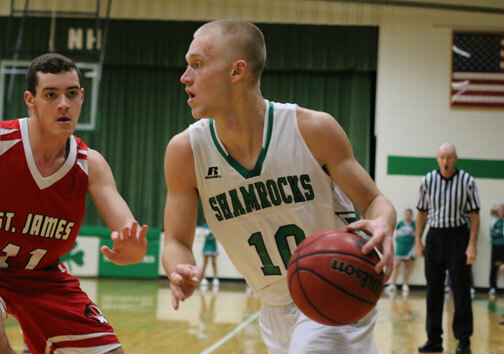 - The Shamrock’s all-star senior forward Kyle Ruediger will be out for at least the next two weeks after injuring his foot in last Tuesday’s first game of the South Callaway Tournament against Harrisburg. The initial x-ray taken after the game did not show a fracture. After an MRI was taken on Friday, Monday afternoon the results of the MRI were not what they had hoped. The MRI revealed a stress fracture to the metatarsal bone in Kyle’s foot. New Haven suffers a big blow with Ruediger sidelined for at least the next 7 - 10 games with hopes of Ruediger returning by districts. Ruediger injured his ankle in the first quarter after going up to catch a pass and came down wrong on his foot. Ruediger would play the rest of the game, scoring 19 points in their loss to Harrisburg 48-39. Ruediger is scheduled for a follow visit with his doctor in two weeks to determine whether the injury has healed enough for him to return. The earliest Ruediger could return would be mid to early February. 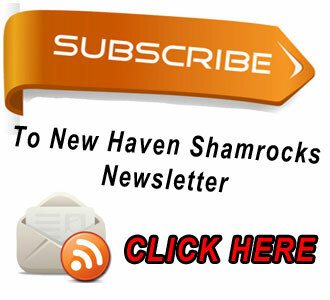 Ruediger has been the Shamrocks leading scorer, averaging 24 points per game and after breaking 1000 career points before Christmas break, Ruediger recently surpassed John Scheer (1056) to become the 17th all-time scorer in New Haven Basketball History with 1064 career points. The South Callaway Tournament has not be Ruediger’s favorite place to play after suffering a similar ankle injury two years ago, which left him sidelined for just over a week, however he was at best 70% healthy for the remainder of the season. After Tuesday’s loss to Harrisburg, New Haven lost to Russellville 36-34 then in Friday’s seventh place game they would suffer their 4th straight loss to Montgomery Country 59-30 as they fall to 5-8 on the season. Next week New Haven will play in the Hermann Tournament. Click here to download the bracket from the Sports Zone. We will keep you updated should there be any changes in Ruediger’s status.